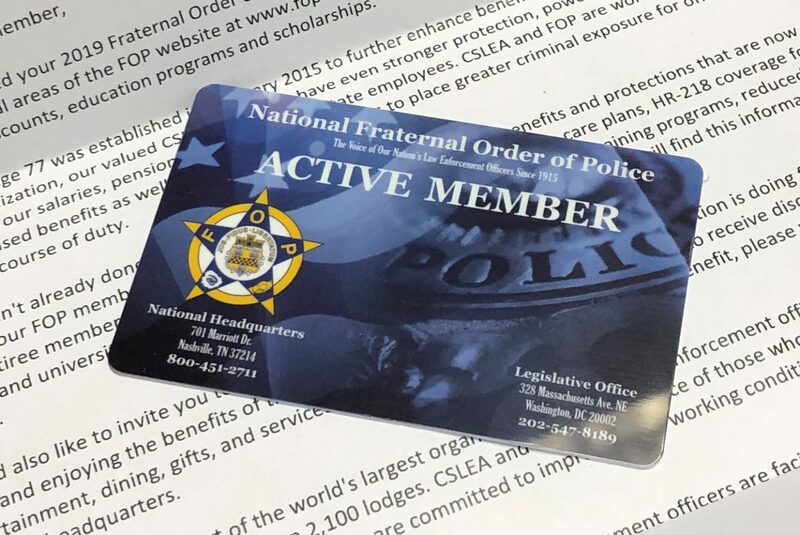 SACRAMENTO - The National Fraternal Order of Police (FOP) has sent its 2019 active member cards for California Statewide Law Enforcement Association (CSLEA) FOP Lodge 77 peace officer members to CSLEA headquarters in Sacramento. CSLEA Membership Coordinator Kara Gapske has processed the cards which will be mailed individually to peace officer members. The FOP membership cards are being sent to members’ mailing addresses that CSLEA has on file. FOP only issues membership cards to CSLEA FOP Lodge 77 peace officer members.